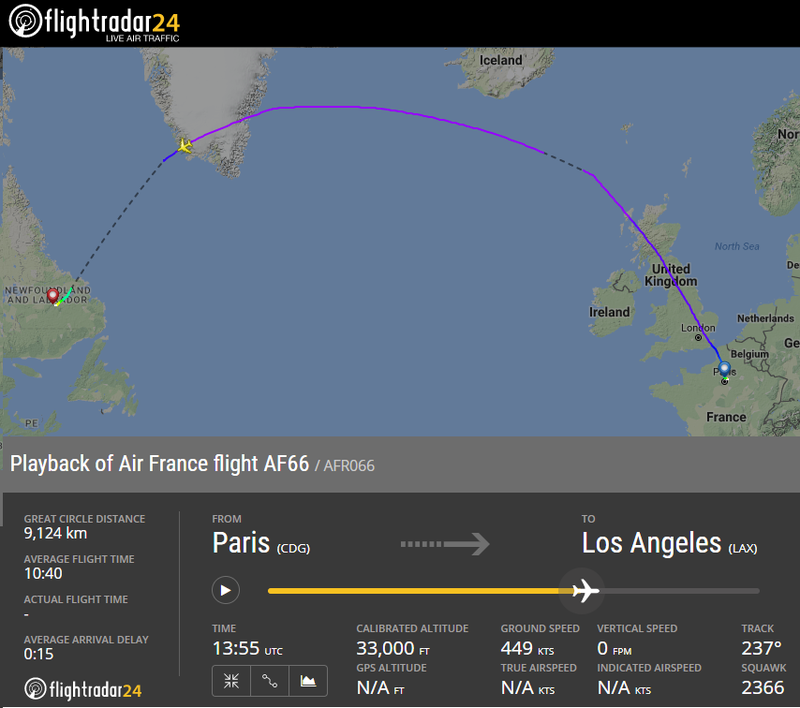 Air France flight AF66 was flying en-route over Southern Greenland at 37,000 ft. (FL 370) between Paris-Charles de Gaulle Intl Airport, France and Los Angeles-Intl Airport, CA, USA when the inlet cowling and intake fan of engine no.4 (outer right) disintegrated and separated from the engine. 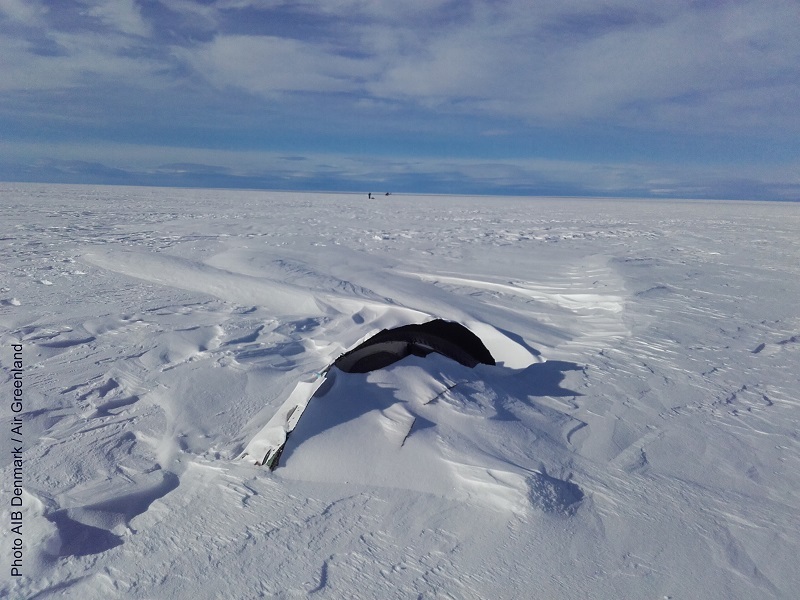 In the cabin, a loud thud was heard followed by vibrations throughout the remainder of the flight. 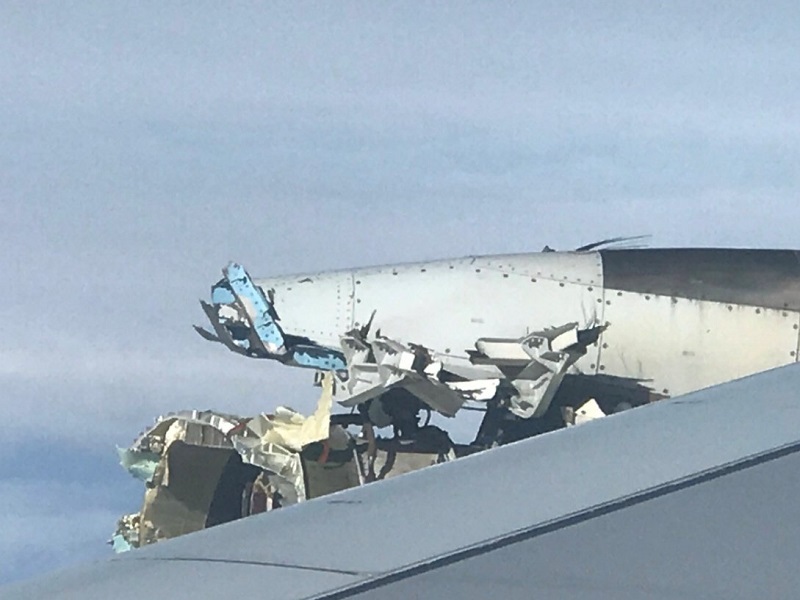 The pilots descended to a lower flight level of 31,000 ft (FL 310) and diverted to Goose Bay, Newfoundland & Labrador, Canada where the aircraft made a safe daylight landing about 2 hours later. 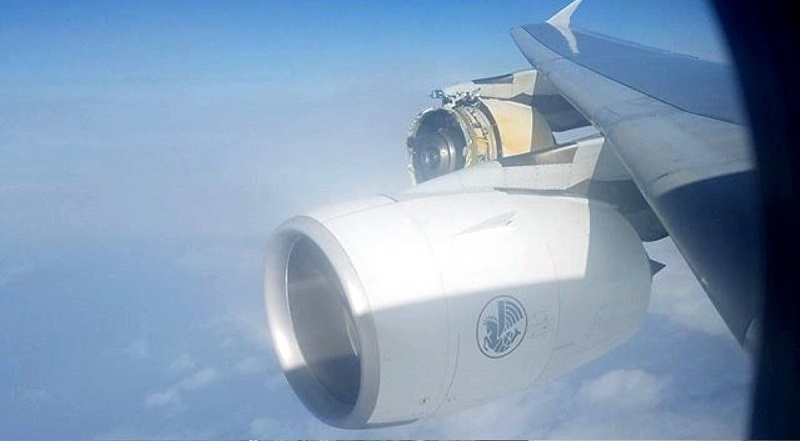 There were no injuries among passengers or crewmembers. 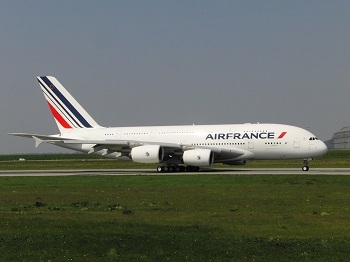 After landing Passengers were kept on board until backup aircraft arrived because the Goose Bay Airport terminal was unable to accommodate such passenger numbers. 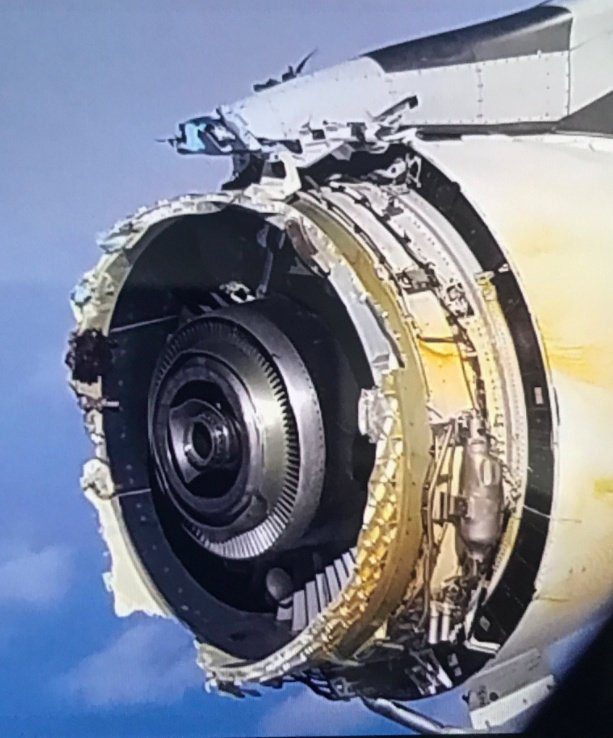 Post landing visual inspection showed substantial damage to the forward part of the number 4 engine (GP7270). 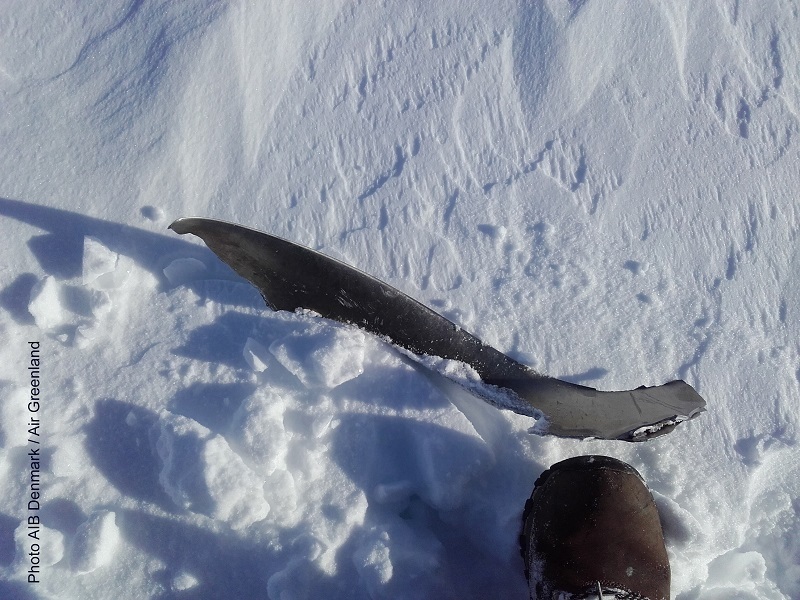 Additional damage occurred when debris struck the wing flap fairing canoe. 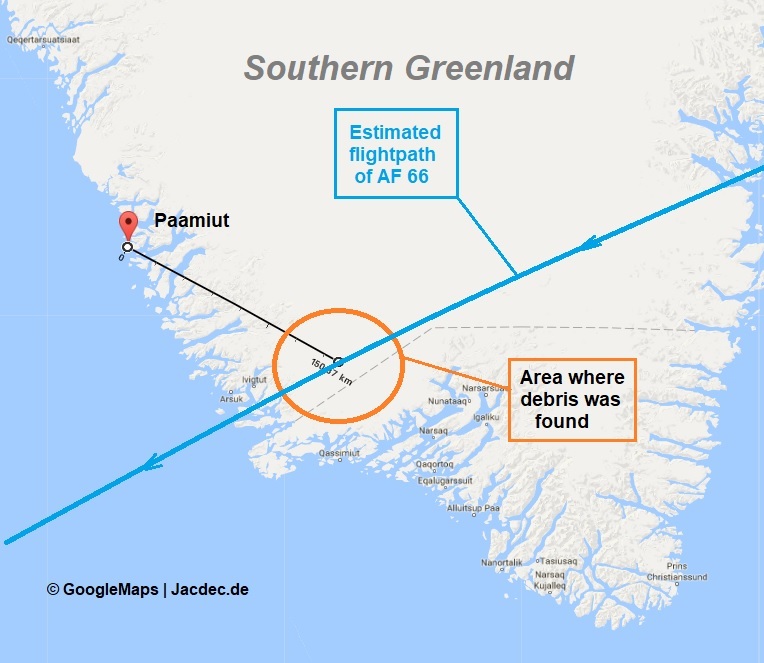 On 2017-10-05 the Danish Aviation Authority announced the debris of engine #4 was found halfway buried in snow approximately 150 km southeast of Paamiut village in Greenland. 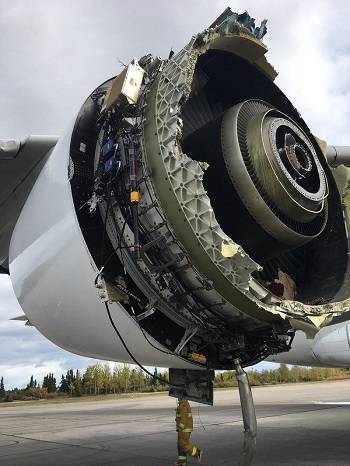 A first damage analysis fueled speculation the fan had detached from its shaft and took the air inlet with it. 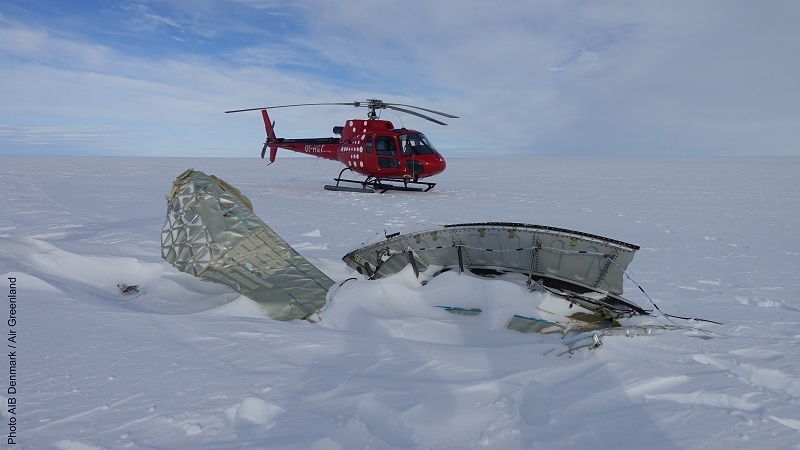 Further Investigations are carried out by multinational authorities among them the Canadian TSB, Danish HCL, French BEA and the US NTSB. 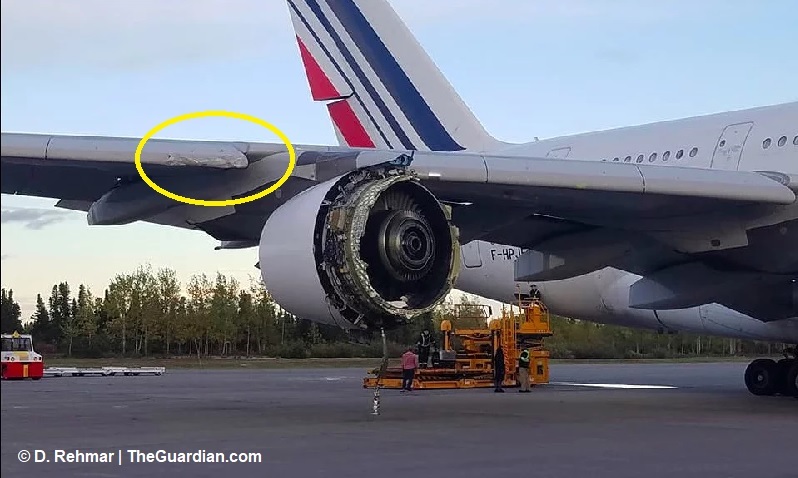 On Wed. Dec 06th 2017 after 9 weeks of repairs and engine replacement, the aircraft was flown out of Goose Bay back to Paris-CDG.